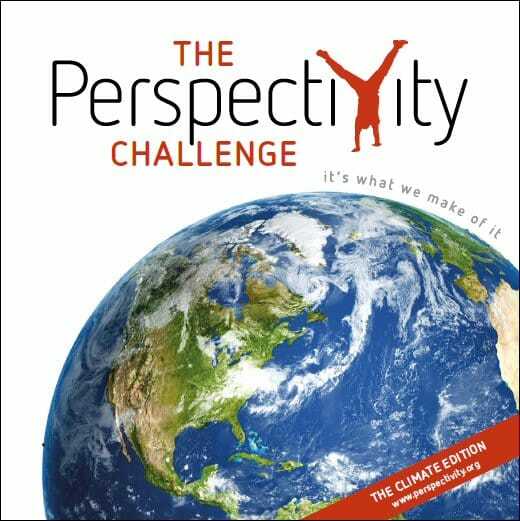 The Perspectivity Challenge now has it’s own website, visit it at theperspectivitychallenge.org. The Perspectivity Challenge puts its participants in the shoes of key decision makers. Each team is responsible for the expansion of a virtual economy on the game board. The growth process encompasses the issues that our world leaders are all too familiar with: growth spurts, limited resources, international negotiations, downturns and conflicts. The players face the crucial trade-off between long-term sustainability and short-term economic growth. The game is followed by a powerful debriefing and group discussion. The Perspectivity Challenge is extremely relevant in an era where global sustainability challenges attract daily media attention. It triggers a unique learning experience that will leave the participants with an improved understanding of how a sustainable future could materialise. A typical Perspectivity Challenge workshop takes about 2.5 hours and consists of a short introduction, followed by 75-90 minutes of game, concluded with a powerful debrief. The debrief can be tailored towards specific topics upon request. The recommended group size is 24 although smaller and larger groups can also be accommodated. In recent years the Perspectivity Challenge has been organised for groups in the Netherlands (dozens of sessions for large companies like Shell, PriceWaterHouseCoopers, DSM, NGOs like Greenpeace, universities like University of Amsterdam and even as part of a training for Balkan diplomats at the Clingendael Institute), United Kingdom (at the Cambridge Climate Leadership Programme and several times at the London School of Economics), United States (at MIT and recently with the World Bank in Washington), China, Cambodia, Vietnam, Thailand, India (twice at the Asian Forum on Global Governance in New Delhi, once with NGO workers in Bangalore), Singapore (Asia-Pacific Programme for Senior National Security Officers) and Manila (John Clements Consultants / Harvard Business Publishing). Should we use hard security (intelligence, police, military forces) or soft security (diplomacy, negotiation, dialogue) in order to build a secure society? This challenge faces you with the question on how to build meaningful and trustful engagement and partnership with civil society on security matters. The thematic changes were developed together with the Human Security Collective. This challenge was developed in cooperation with the National Security Coordination Secretariat of Singapore. Can we move from a whole-of-government approach to national resilience to a whole-of-nation approach to national resilience? Different sectors of economy, including government, face conflict of interest, compete for resources and search for their own role in building a resilient society. The interconnected challenges at the nexus of energy, water and food will strongly shape the future. These interconnections will cause new and sustained turbulences, which require innovative approaches to make our societies more resilient. This complexity is at the heart of the “Nexus!” challenge. You may play a company, seeking a secure market for your production. You may play a country desperately short of water. You will face land shortages, real or imagined. Innovation, boycotts, partnerships, price fluctuations, free trade, bad harvests, turbulence: it’s all in the game. Or send an email to challenge@perspectivity.org to book a session.